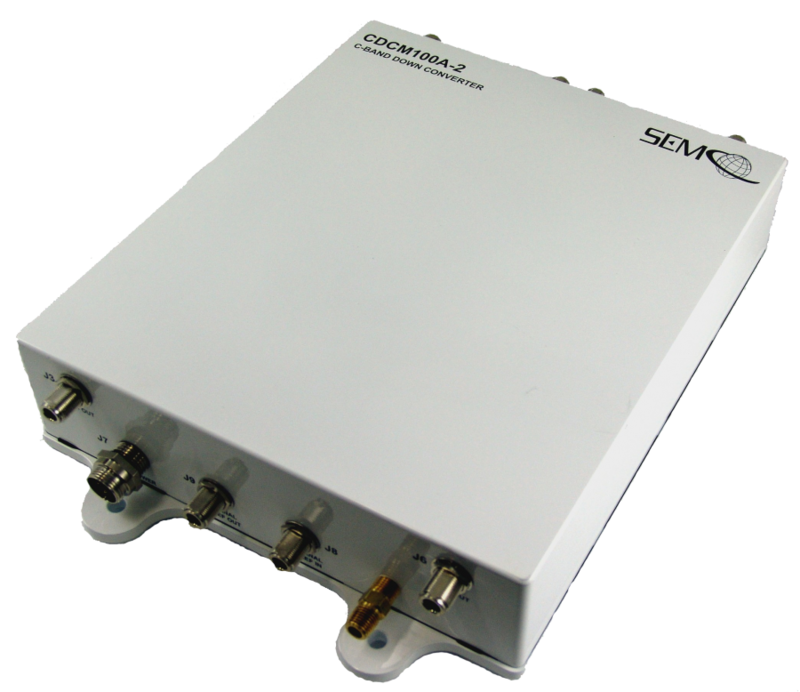 The CDCM100A Series Down-Converter is an IP-67 rated device designed for installation on antenna pedestals. It is a pressurized, water-proof module designed for use with antennas that have a Tri-Band Feed. The CDCMA100 Series Down-Converter is a block down-converter supporting 1415-1585 MHz, 1650-1850 MHz, 2185-2485 MHz and 4400-5250 MHz, down-converting 4400-5250 MHz to 300-1150 MHz.